At the conclusion of San Diego State men’s basketball’s 86-48 victory over Cal State San Marcos, redshirt-junior guard Matt Shrigley had zeros in all statistical categories. It’s wasn’t Shrigley’s night. In fact, no one knows when it will be his night, or when his next night on the court will be. 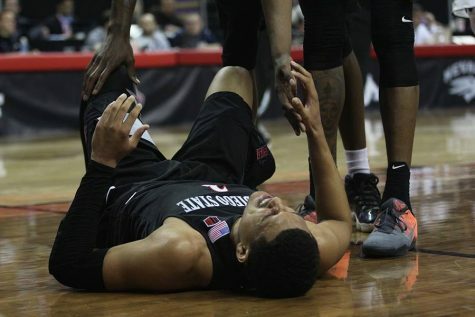 Shrigley is still recovering from a July surgery to repair a tear in his right ACL, which has caused many to wonder where the Aztecs’ perimeter game was going to come from. But on Monday night, walk-on freshman guard Ben Perez proved he was not only worthy of eating some of Shrigley’s minutes, but he also showed he’s the most capable player to fill Shrigley’s shoes. Perez came off the bench after the first media timeout in the first half, and shortly after attempted his first 3-pointer of the night. Perez missed his shot, but that would be his only miss of the night. From that point forward it went something like this: finger roll in the paint, steal, assist, 3-pointer and 3-pointer with a hand in his face. 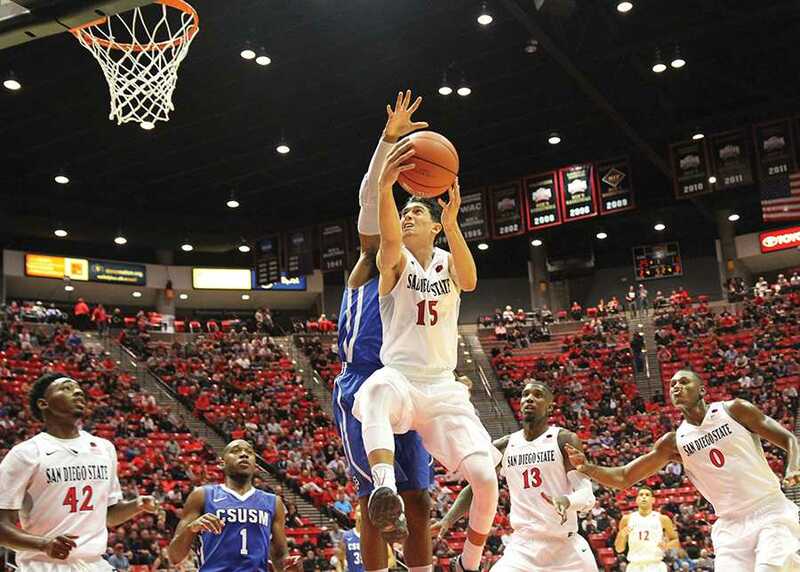 Perez finished the game going 3-for-4 from behind the 3-point line, which should excite the Aztec faithful. He also finished with half of the team’s 3-pointers while only accounting for 20 percent of the teams attempts, which should make everyone nervous. 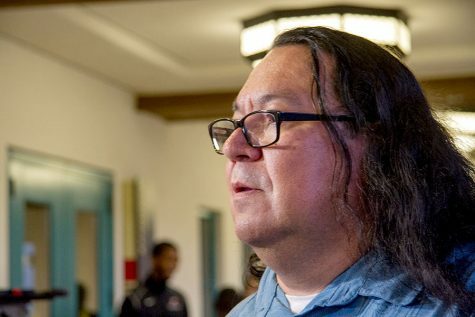 Even though head coach Steve Fisher went out of his way to praise Perez’s effort, it seems Perez didn’t really surprise his head coach. “You earn your spurs in practice and then when you get to game time, perform, and he’s doing both,” Fisher said. While Perez was lighting it up, the three guards who started the game were not. Sophomore Trey Kell shot 1-for-4 from behind the arc, and junior Dakarai Allen and freshman Jeremy Hemsley both shot 0-for-3. 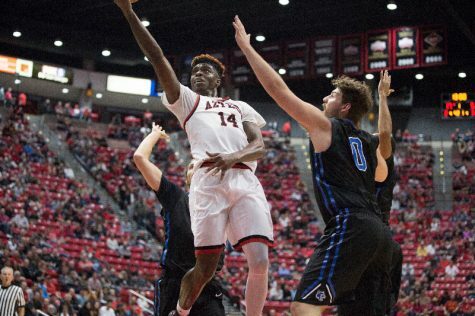 Yes, this was the first game of the season, and it was only an exhibition game, but it’s never too early for the Aztecs to push the panic button on perimeter shooting, especially since Shrigley had the second highest 3-point percentage among returning players. Sophomore forward Malik Pope was first with 41 percent. 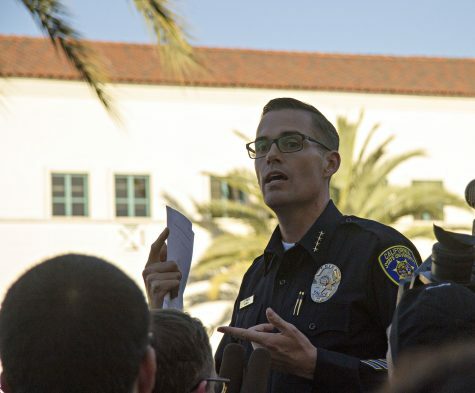 Getting immediate help from an outside shooter is a big deal because the Aztecs have a challenging nonconference schedule ahead of them. 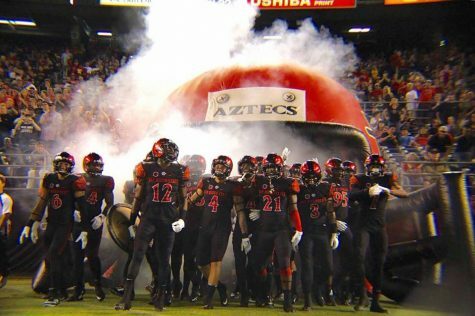 Before the new year, SDSU will have played three teams — University of Kansas, UC Berkeley and University of Utah — that are ranked in the Associated Press’ preseason top 25, and, possibly, one team that received votes to be in the top 25 — West Virginia University. 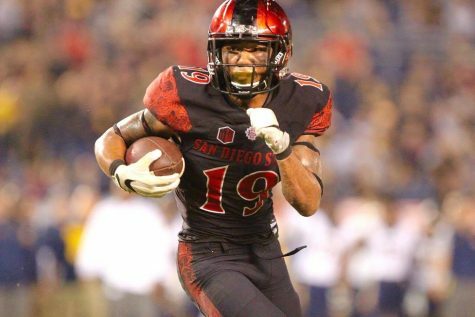 To compete against these top teams, SDSU needs to have more than one legitimate deep threat. 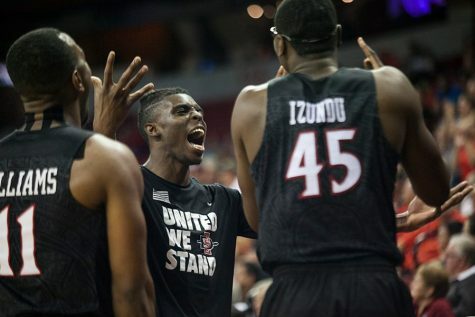 That other deep threat comes in the form of a nonscholarship player with Perez on the back of his jersey. 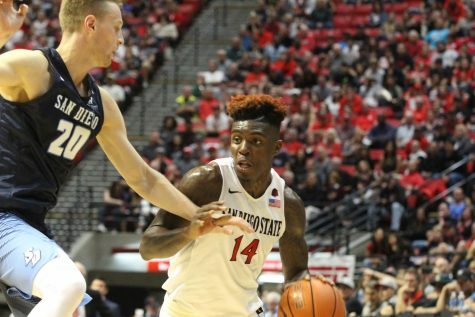 Even though no one, except his teammates and the coaching staff, knows exactly how good Perez is, his deep range appears to be a weapon that has often eluded the Aztecs, and against CSUSM his 3-point shooting was a weapon that none of his teammates displayed. “I like him, and he can help this team,” Fisher said. 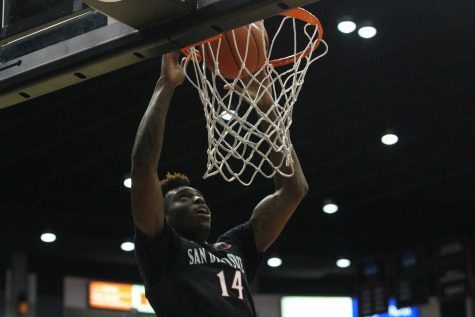 When the season gets underway, the Aztec faithful should hope Perez gets into the game, so he can help where some Aztecs have struggled mightily.